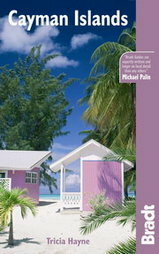 The latest edition of Cayman Islands provides in-depth coverage of each of the country's three distinctive islands. Renowned for some of the world’s best diving and snorkelling, the islands also offer numerous other activities, all of which are detailed in this thorough guide. Drag yourself away from those white-sand beaches and you can head off in search of iguanas, mysterious caves or even ghosts. 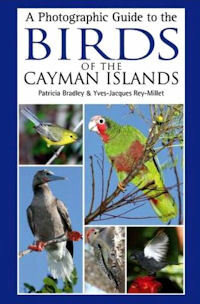 The guide is complete with historical background information and natural history for those who want to dig deeper and unlock the true spirit of Cayman. With a rich avifauna of more than 300 species, the three islands that make up the Cayman Islands – Grand Cayman, Little Cayman and Cayman Brac – form an increasingly popular birding destination. Although the islands' sole endemic species, Cayman Islands Thrush, was extinct by the 1940s, the islands have a healthy crop of regional scarcities and are an important migrant stopping point as they cross the Caribbean.